Tonight’s BRIT Awards, hosted for the fourth time by James Corden, were the perfect celebration of a vintage year. Muse started proceedings with an explosive performance featuring a huge orchestra and fireworks, setting the tone for the evening. 2012 was an extraordinary year for British music both at home and abroad. 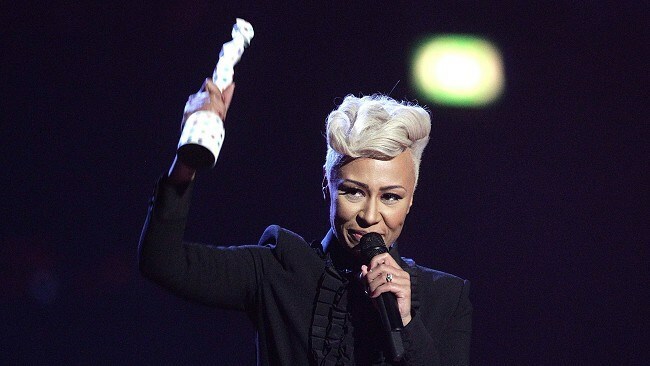 This time last year saw Emeli Sandé win her first ever BRIT Award when she was chosen as the Critics’ Choice winner. 12 months on she scoops the biggest Award of the night, the MasterCard British Album Award, for her debut album ‘Our Version Of Events’ which has now been certified four times platinum and is close to sales of 1.5 million worldwide. Emeli was also honoured with the British Female accolade and gave a stunning performance for the BRITs finale. Also performing on the night, Ben Howard was the only other artist to enjoy multiple wins – British Breakthrough (winner decided by public vote through brits.co.uk and BBC Radio 1) and British Male. Ben’s ‘Every Kingdom’ album was released at the end of 2011 and reached the Top 10 in the Official Album Charts. Mumford & Sons picked up British Group. Coldplay beat competition from bands like the Rolling Stones and Muse to be presented with the reinstated British Live Act, their eighth BRIT Award to date. Last year’s MasterCard Album Award winner Adele was also honoured, winning the British Single Award (with Capital FM and iTunes) for ‘Skyfall’, her fourth BRIT Award in total. One Direction received the first-ever Global Success Award (the UK act with the highest international sales during the 2012 calendar year, excluding UK). The band released their second album ‘Take Me Home’ in November, breaking chart records, to become the fifth biggest selling album in the US in 2012. In the international categories Lana Del Rey picked up International Female Solo Artist, International Group went to The Black Keys and Frank Ocean won International Male Solo Artist. In another first for the BRITs, Damon Albarn took to the stage to collect the Special Recognition Award on behalf of War Child as 2013 marks the charity’s 20th anniversary. Performances on the night (in order of appearance) came from Muse (Supremacy), Robbie Williams (Candy), Justin Timberlake (Mirrors), One Direction (One Way Or Another), Taylor Swift (I Knew You Were Trouble), Ben Howard (Only Love), Mumford & Sons (I Will Wait) and Emeli Sandé (Clown/Next To Me). This year’s BRITs performances will be available to download after the Awards on iTunes with all proceeds for the first month going to War Child (recipients of the new Special Recognition Award).